The UF Online team is coming to South Florida and hosting a Gator Men’s Basketball Viewing Party in your area. Come with your Gator Nation pride to cheer and connect with fellow Gators! 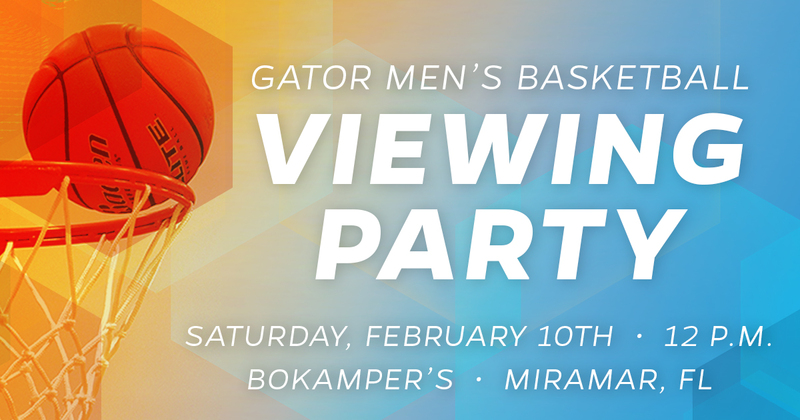 Join us on Saturday, February 10th, at 12 p.m. at Bokamper’s in Miramar, FL to watch your Florida Gators Men’s Basketball team take on the South Carolina Gamecocks. Game starts at noon, so don’t miss out. We’ll have food and Gator swag on hand! Email Meredith Beaupre for more information mbeaupre@ufl.edu.